So, continuing the “entertainment and women” theme from my last post, my friend Rob & I had a little exchange on Facebook, talking about “Mad Max.” We decided to write a couple editorials about it on the Dialog Facebook page. This is the one I’m posting there–but I’m publishing it here, too. For the sake of argument, I’m going make the case that “Mad Max: Fury Road” is a feminist movie. Full disclosure—I’m not sure whether or not I really believe that, but in the spirit of my friend Margaret Miles, who once said, “I write so I know what I think about something,” I’m just going to write, and see if, at the end, I know what I really think about the movie. I just saw it yesterday, and I’m still processing it: even though I love actions movies, and see them regularly, the whole post-apocalyptic thing isn’t my “jam” [as my friend Lauren says! ], so the disturbing, depressing imagery was close to overpowering for me. Also, let me offer the requisite “spoiler alert”—I’m not going to self-censor here for the sake of those who haven’t seen the movie, so if you haven’t seen it yet—go see it right now and then come back and finish reading. So, let me begin by saying that I think “Mad Max” is a feminist movie; and to be clear, I’m using one of my favorite definitions of feminism that comes from Joann Wolski Conn, from an America article in Oct., 1991. She writes, “Feminist is both a coordinated set of ideas and a practical plan of action, rooted in women’s critical awareness of how a culture controlled in meaning and action by men, for their own advantage, oppressed women and dehumanizes men.” Let me say a bit about how I see that definition fully embodied in the movie, in a variety of ways. First, if we take that definition purely from the vantage point of Imperator Furiosa, Charlize Theron’s character, who is clearly the heroine of the movie [the review of the movie in The New Yorker mentioned specifically the great scene where Max has missed a key target with two bullets, and with only one bullet left, he hands the gun to Furiosa, who makes the shot using his shoulder as a rest], it’s hard to imagine a clearer expression of what is driving her—she may not make that speech in the movie, but that’s the spirit that infuses everything she does. Second, Immortan Joe, our villain, is fully de-humanized [or, better, in-humanized]: this is not only clear in his own body—that false-teeth contraption, hooked up to a bellows that he needs to breathe, is the stuff of nightmares—but in his offspring as well, who also are physically and emotionally grotesque and less-than-human in different ways. Another example of dehumanized men are the “War boys”—stunted young men with shortened lifespans who have no purpose beyond the sacrifice of their lives in battle for Joe. Third, it is quite specifically the control of women by men—particularly their ability to bear and nurse children—that is the locus of resistance for the movie as a whole; and the chance of freeing them from that control is the heart of the “redemption” that Furiosa seeks. Finally, on the whole, women have their own agency in this movie, and they are making their own decisions; they have strong relationships with one another, and they are absolutely not defined by their relationships with men. However, having said all that, I think the movie itself is not sure what kind feminism it wants to promote. I’m thinking specifically about a type of feminism Anne Clifford [Introducing Feminist Theology] describes as “romantic feminism” or “cultural feminism.” Her definition of this form of feminism says that it is concerned primarily to improve society by stressing the unique and morally superior virtues of women. These virtues include things like compassion, gentleness, kindness, peacemaking, etc. [You still see this form of feminism today every time someone says something like, “Wars would instantly cease if women were in charge!”] Clearly, there is a strong current of this type of feminism in the movie: in general, women are depicted as more nurturing and caring. The most obviously example, of course, are the “breeders” themselves—the women Furiosa is trying to free; and the “milkers” [for lack of a better word], who are hooked up to machines and, well, you get the idea. [I don’t think it’s a coincidence that it is these women who, at the end of the movie, release the life-giving water to the people in the Citadel]. These are women totally defined by their reproductive capabilities—although the breeders transcend that simple identity in the course of the movie. Some others examples of this are the Keeper of the Seeds—the woman from the female biker gang who has been saving a doctor’s bag full of different seed pods, trying to plant them wherever she can; and Capable, another breeder, who ends up befriending the War boy Nux and transforming him into an ally—this transformation is critical to the ending, by the way. So, one of the main messages of the movie seems to be that women are different–more human, basically; and they are the key to everyone’s survival—not because they can bear children, but because they can govern with wisdom and benevolence. 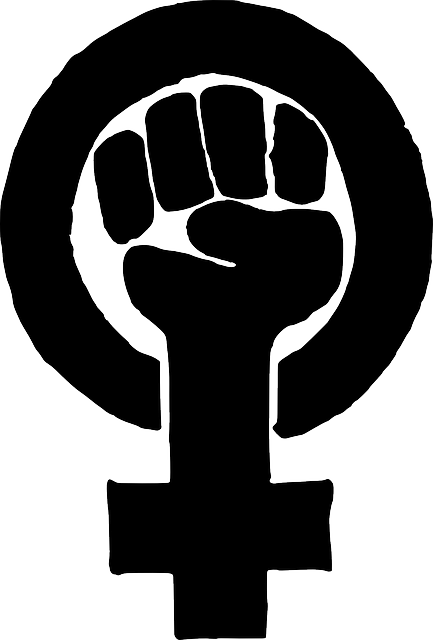 However, there is another current of feminism in the movie that I think fits Carr’s definition of “radical feminism.” This type of feminism argues that patriarchy is at the root of all societal problems, and sees the detrimental effects of this pervasive male dominance in all aspects of society. Radical feminists advocate a separation from male culture, with women-only communities where women can thrive without the negative influence of men. The biker women—the few remnants of Furiosa’s former clan—are the most obvious example of this; and one could argue that so is Furiosa herself—trying to escape from men and their city, and taking the most precious women with her. Watching the movie, it is hard to avoid the conclusion that women as a whole are the heroes, and men are the villains—masculinity in the movie is hyped-up to the point of absurdity, including the guy tethered to an amplified guitar, in order to provide a rock-music soundtrack for the warriors. Finally, however, the ending transcends both of these forms of feminism, I think, and suggests a new form of society that includes both men and women in an equal partnership [symbolized by Max and Furiosa’s shared decision to seek redemption together]. Nevertheless, however, Furiosa maintains a leading role. She is the one who finally kills Immortan Joe, and she is the one who will succeed him as ruler. She is the “anti-breeder” in many ways, and her body also is not fully human—she has a bionic arm; and yet, she is still a woman, and she is the one who, finally, liberates both men and women and creates the possibility for a new society. This, maybe is the best form of feminism of all—a feminism that transcends cultural stereotypes and offers new possibilities and ways of being for everyone. Yeah—after all that, I’m sticking with my assessment: it’s a feminist movie. Go see it.